Rope lights are a fun and simple way to dress up any area for any occasion. These easy-to-install, low-cost lights create a huge impact when it comes to adding mood and ambiance. There’s no shortage of rope light ideas. These fun lights can be wrapped around trees, ran along staircases, and turn a regular porch into an extraordinary porch. They can add ambient light to bedrooms, TV areas, or walkways. The only limit is your imagination! 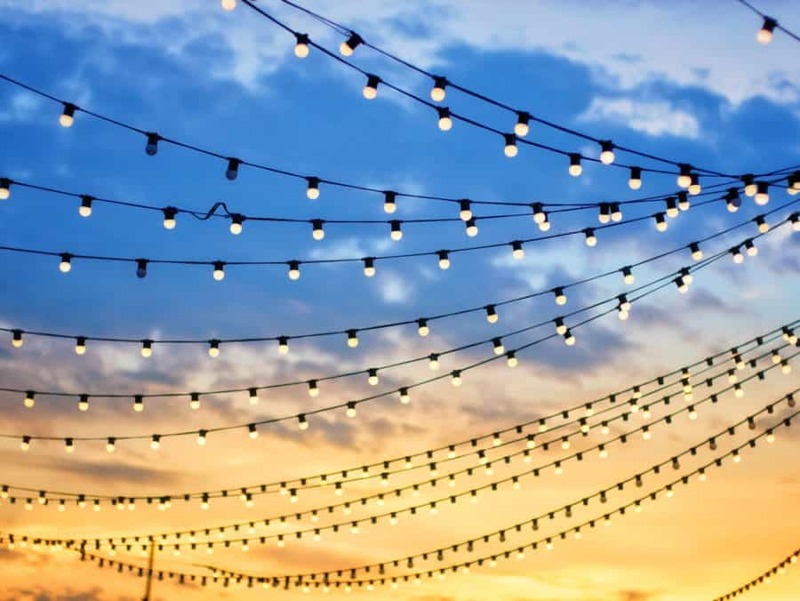 Here we’ve compiled 27 ideas with images that will help you get your creative juices flowing when deciding how to use your rope lights. We’ll also talk about LED lights, string lights, and other light variations in this article as well! If you need more outdoor light ideas, check out our article covering solar lights! Rope lights are lights placed in a clear plastic tube. This can make the lights more weather resistant and easier to wrap around trees and objects. There are weatherproof versions for outdoor use and lighter versions for indoor use. Clear rope lights are a very versatile option and can be used, for example, to wrap around trees or outline your doorways. They’re easy to shape, and look great. You can’t go wrong with this timeless option. 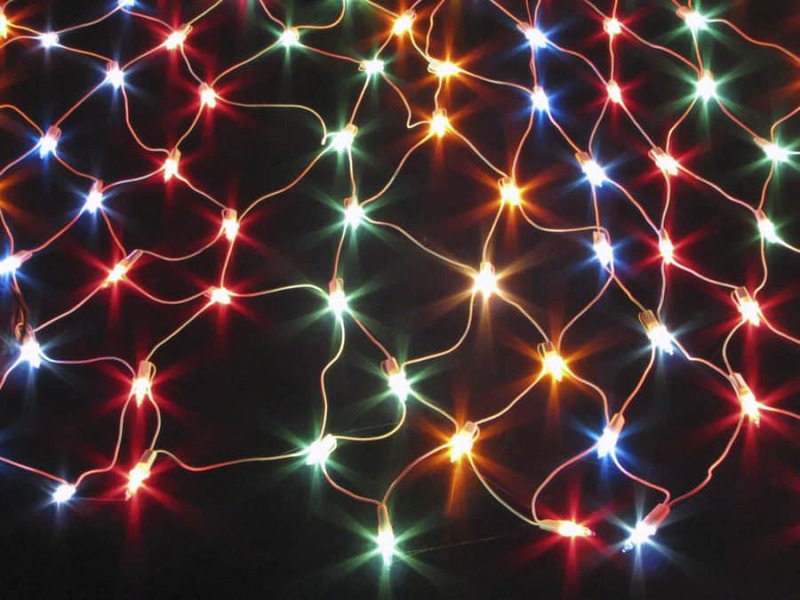 These colored rope lights are great for decorating large areas and outdoor spaces. A large roll like this can cover a lot of ground. The color can be from the bulbs, but often the plastic tube that the lights come in are tinted. Either way, colored rope lights are awesome. Rope lights are perfect for forming into shapes and designs. The solid tubing is much easier to shape than a tangled string, which is definitely another advantage of rope lights. To make an intricate design, create a pattern out of wire or an already-existing object, and then wrap the lights around the pattern. This method even works when making word art. Here’s a unique twist on rope and pendant lights. These are pendant lights with a rope-covered cord. These would look great in a western-themed venue or at any rustic venue, such as a barn dance or cabin. 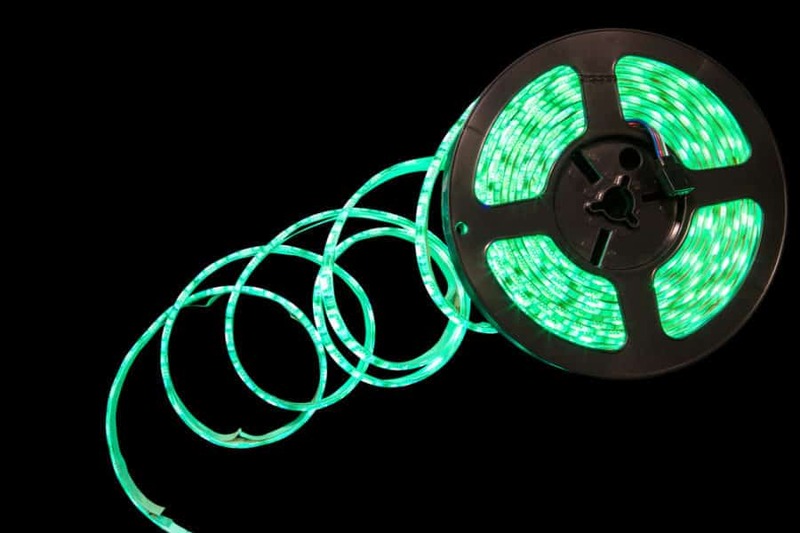 This 150-foot rope light is perfect for decorating outdoor spaces. It can be used indoors and outdoors since they’re waterproof. It actually comes with 1,620 LEDs, but the rope can be cut to size once you’re done installing it. If you have a large, continuous area to cover this would be a great choice. Edison bulbs have made a stylish comeback. This new lighting with energy-efficient bulbs (or LEDs) has a clear dome that makes them look like some of the original light bulbs that Thomas Edison first began producing. Trees create the perfect natural hangers to string your lights. What would normally look like eerie trees in the twilight, becomes a magical garden with the simple addition of a string of lights. Several strings of light create a beautiful twilight effect as the sun begins to set over this semi-cloudy sky. This dramatic effect will only be enhanced once it becomes dark. It really is amazing what a string of lights can do to enhance your surroundings. These lights running back and forth across the street create the perfect picturesque backdrop for an evening stroll in this sleepy town. There’s nothing more magical than faint sparkling lights as you walk along Main Street. These sparkly lights create the perfect dinner party ambiance. They decorate the eating area and give the patio a sophisticated, warm, and welcoming look. Weddings can last until sundown. 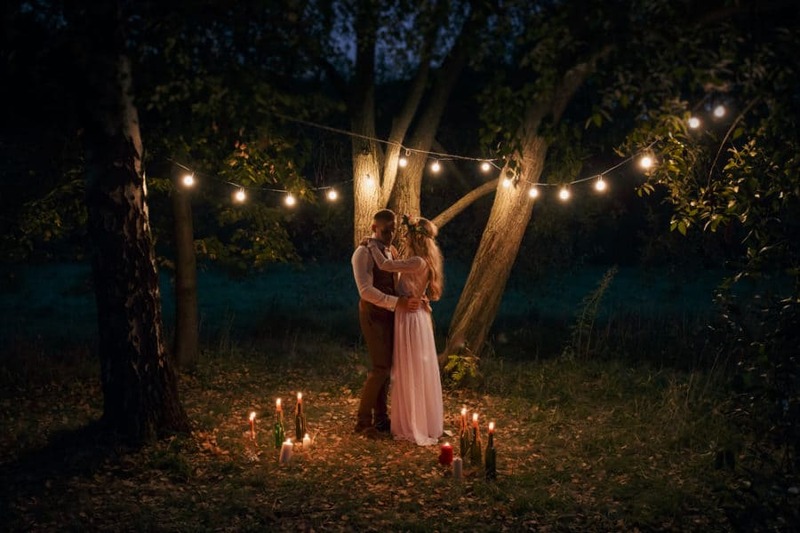 Fortunately, planning ahead and decorating outdoors with these beautiful lights creates an added ambiance against the backdrop of the trees behind the night sky. Your table may be made out of pallets. You may be sitting on the sand – but at least you took the time to string beautiful lights all around your beachside picnic area. You might stay for the conversation, but the lights will add an extra glow to your evening, and they sure are inviting. 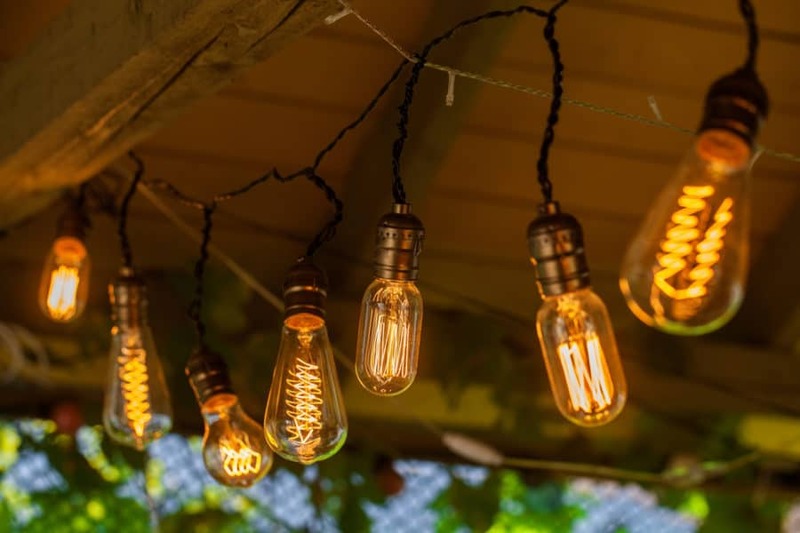 These Brightech Ambience Pro Edison Bulbs are the perfect choice for outdoor decorating. 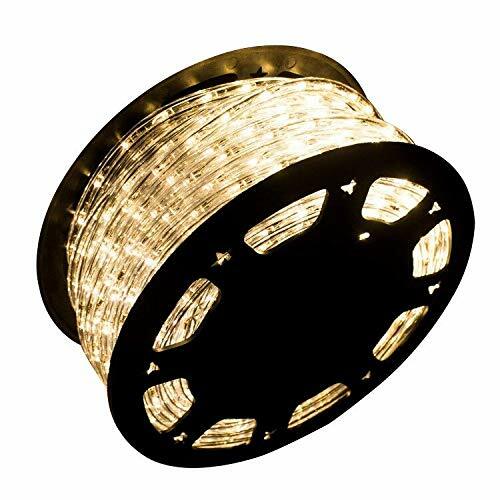 These are heavy-duty, commercial-grade lights that come in long 24 or 48-foot strands. These would make the perfect addition to any outdoor patio or garden area. They’d also look great hanging from a gazebo or pergola. Copper light strings are all the rage. These lights are little, LED lights mounted on small, bendable strands of copper. Most of these lights are low power consumption LEDs and are generally battery-operated. You can do practically anything you’d like with them, but they do look great in a mason jar. 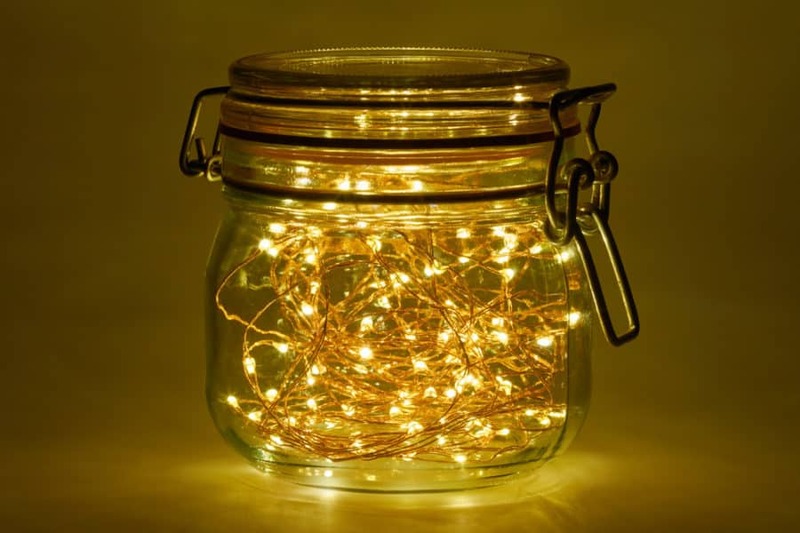 These fairy lights in a jar are very similar to the copper string lights, except they’re lighter in color. 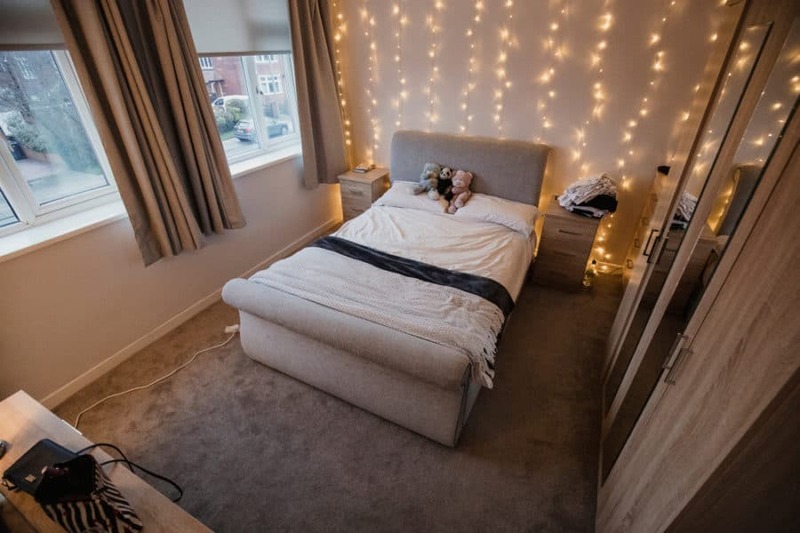 They’re referred to as fairy lights because of how small and delicate they are (just like the sparkly pixie dust left behind by fairies). 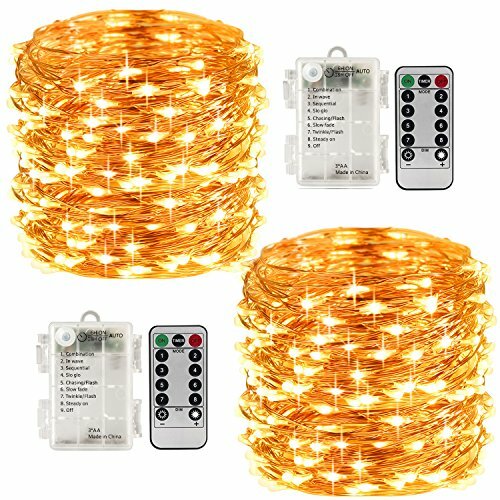 【Package Included】 2 Pack 100 Led 33 Feet fariy string lights, 2 pieces remote control & 2 waterproof portable battery cases. 【Modes and Brightness】This LED fairy light has 8 modes 10 brightness levels: Combination, In waves, Sequential, Slo-Glo, Chasing/Flash, Slow Fade, Twinkle/Flash, and Steady on. Using 13 keys remote control or botton on battery case to adjust modes. 【Auto Time Setting】 6H ON/18H OFF, will be turn on for 6 hours and off 18 hours automically cycle. 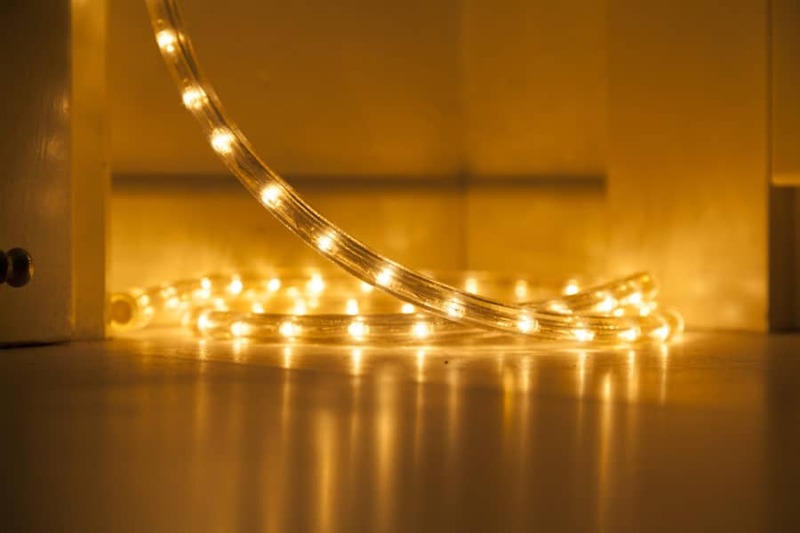 these copper wire led string lights can work continuously for 60 hours. 【Protable Battery Opreated】Led string lights battery is powered by 3 AA batteries(not include), perfect as DIY decoration for party christmas garden patio home in any shape and any places, excellent choice as wedding festival holiday decoration. 【Warranty Offered】Guaranteed with CE certification, ensure the waterproof rubber is installed while use outdoor. LightsEtc fairy copper string lights has one 1 warranty, if you are not satisfied just feel free to contact us via Amazon message box anytime. You can make your own fairy lights with this 2-pack, 100-count copper wire fairy lights. Not to mention they’re battery-operated, waterproof, and come with a remote control that offers 8 lighting modes. These lights are a great way to bring magic to your home. LED string lights are a wonderful thing. They come in so many different colors and configurations. They’re generally used to light up an area under a counter, cabinet, desk, or a media area. Many of them also come with remote controls or even iPhone apps, so you can control them with your cell phone. Light nets are another creative innovation. Having a patchwork net of meshed LED lights is the perfect tool for covering large areas and keeping your lights evenly-spaced. Wrapping these lights around a fence or throwing them on bushes is a great way to utilize net-lights. Wrapping a rope light around a tree is not only simple, but it can also create a really dramatic look. The LEDs usually don’t use a lot of power and you can just leave them plugged in all the time. 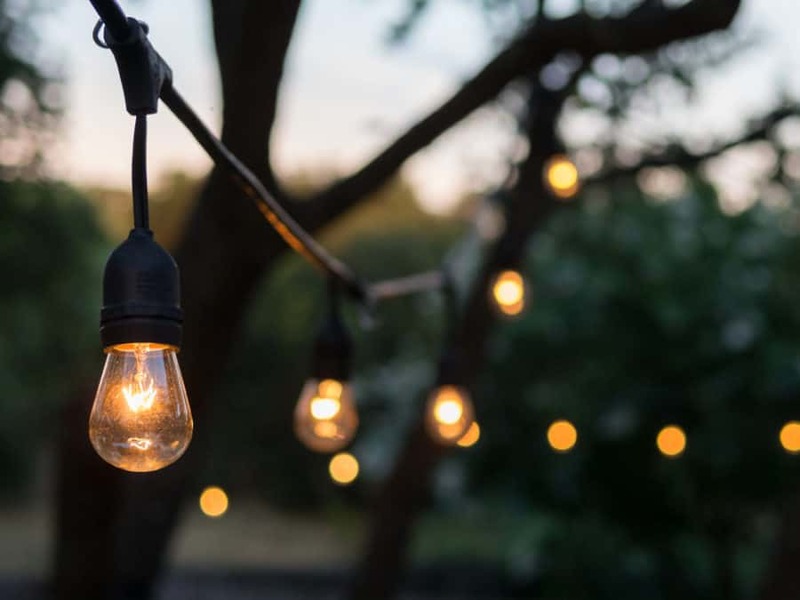 If you’re planning on putting lights outdoors, make sure that you’re using outdoor LED lights and that any hookups to outlets or extension cords have a waterproof covering. Check out our Outdoor Rope Light Ideas article for more! 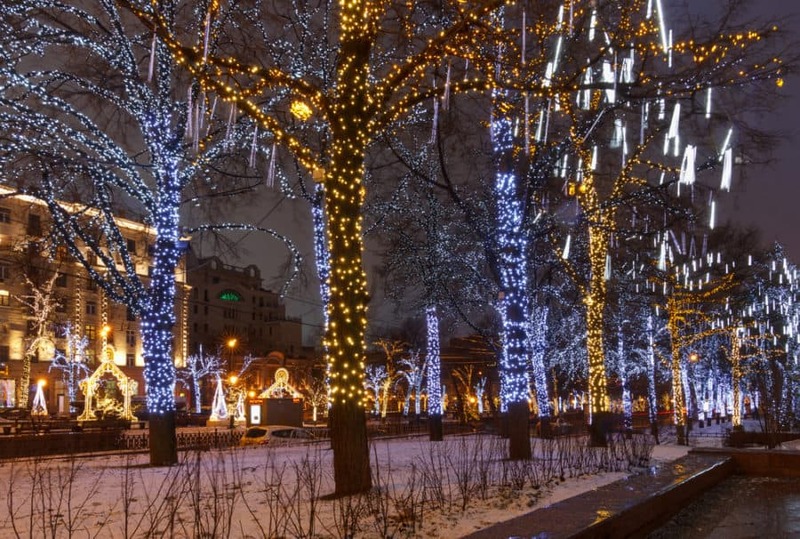 Using two different-colored strands of rope lights and wrapping them around the entirety of these trees creates a dramatic effect for this nighttime city square. Even when the leaves may be gone for the winter, trees definitely shine when lights are strung throughout their branches. 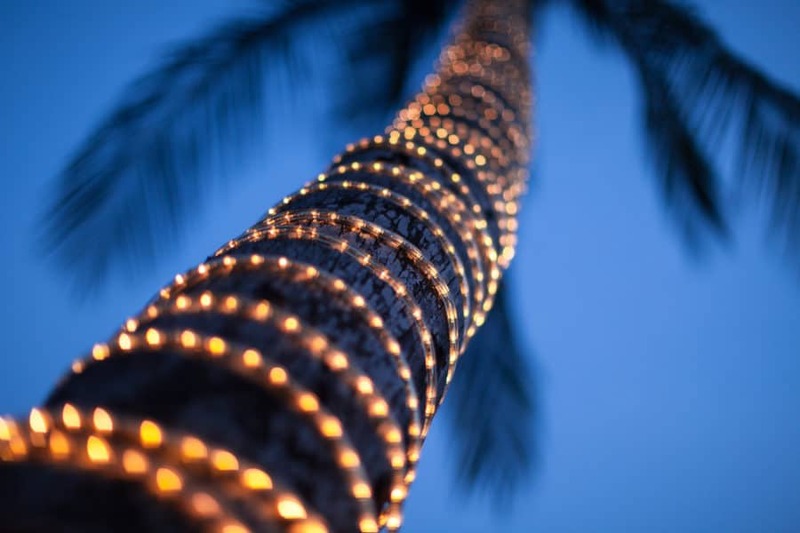 Who says the lights on your palm tree have to be only one color? A beautiful tropical location deserves beautiful colors. 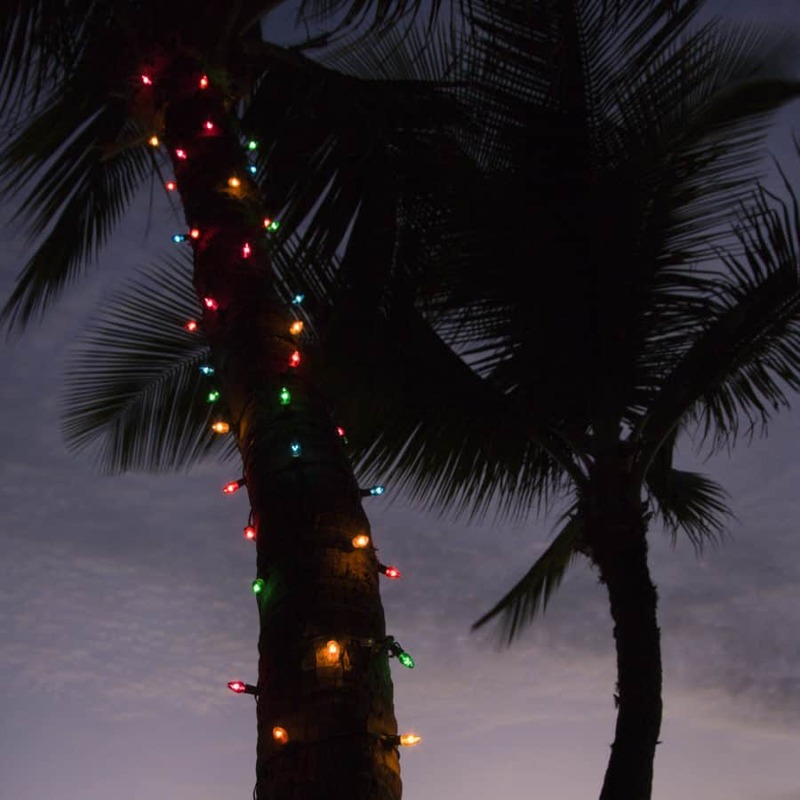 These stringed, colored lights wrapped around the palm tree create a festive atmosphere for any time of year. 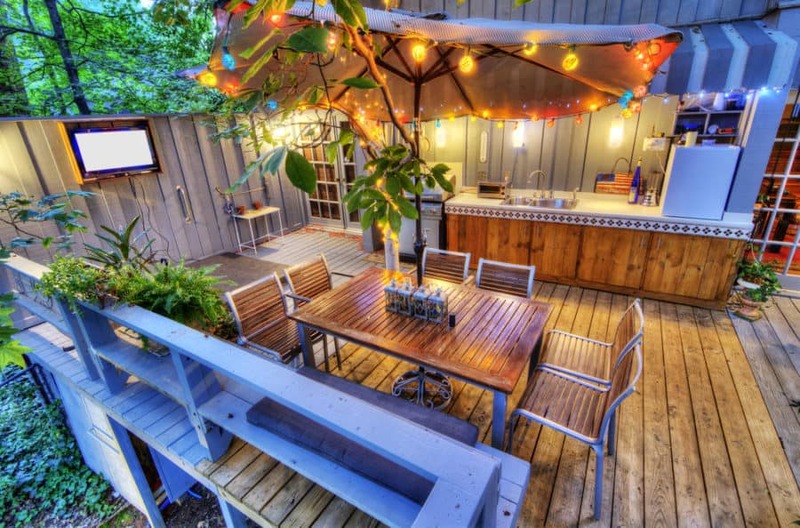 If you have a backyard kitchen, adding a few strings of light can create extra ambiance and enhance nighttime use. 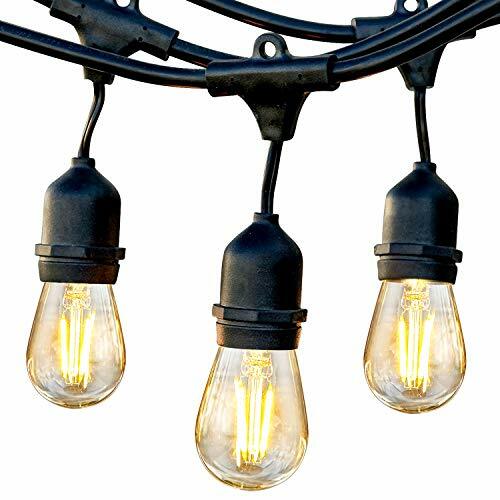 These lights decorate the patio umbrella and are also used to highlight the bar area. Using string lights to highlight an accent wall is a wonderful way to make your room unique and beautiful. This is a popular way to decorate a wall without additional painting or remodeling costs. Swimming pool options are practically endless these days. Even if your pool is old-school, you can dress up the area with some added lights. These create outdoor ambiance and added beauty as the lights flicker across the water. Reclaimed wood and original accent pieces create the perfect combination of old and new when you’re remodeling. You can also highlight beautiful old features by adding lighting. 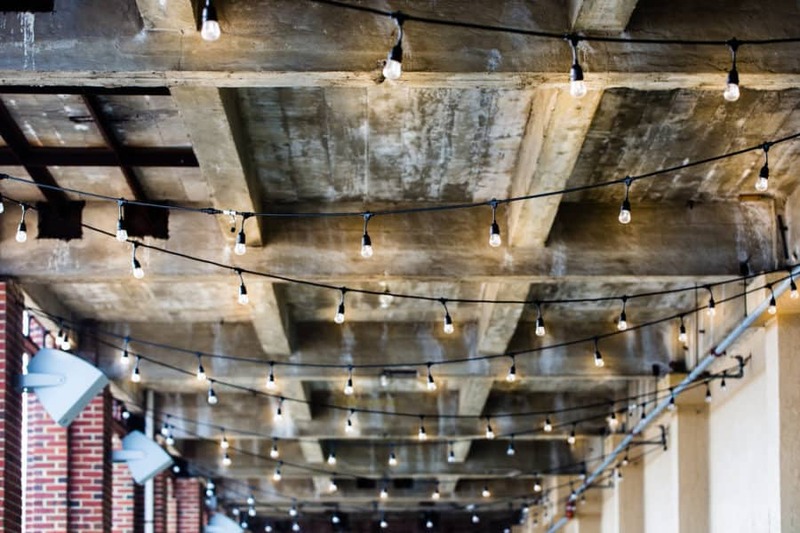 These small, white bulbs offset the rustic rafters in a beautiful way. 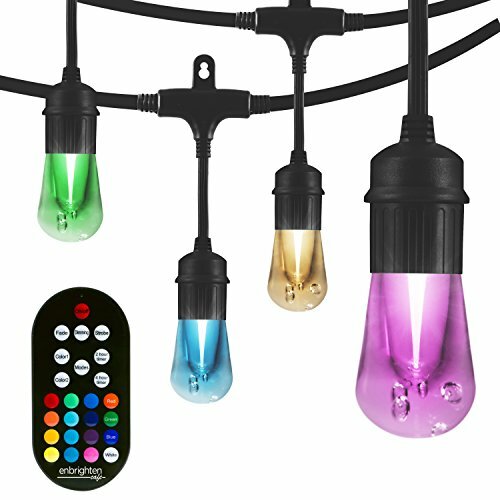 These Enbrighten Vintage Color-Changing LEDs are the perfect choice for a patio or around a seating area and umbrella. They’d even look amazing on a front porch. They’re heavy-duty, waterproof, and change colors. How cool is that? There’s no reason why you can’t get creative with your lighting options. 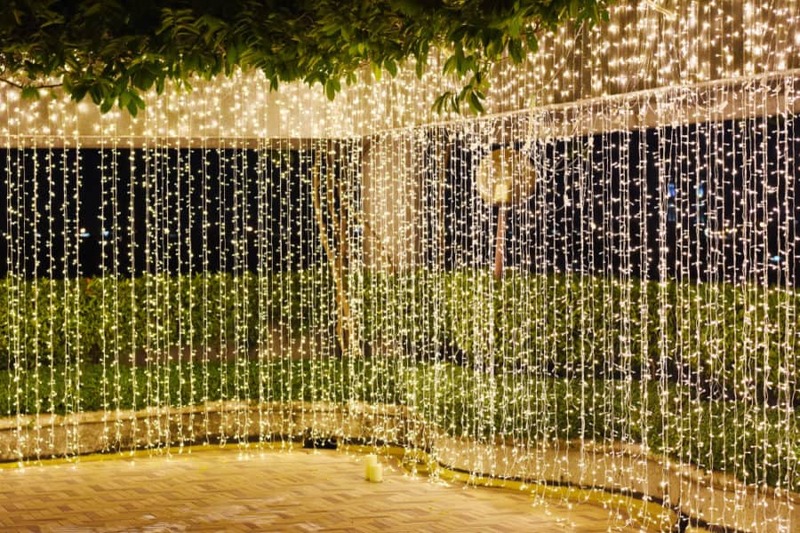 This curtain of lights creates a magical backdrop for any outdoor setting. These would be great for a wedding, an outdoor party, or any event where you’d like a dramatic effect. 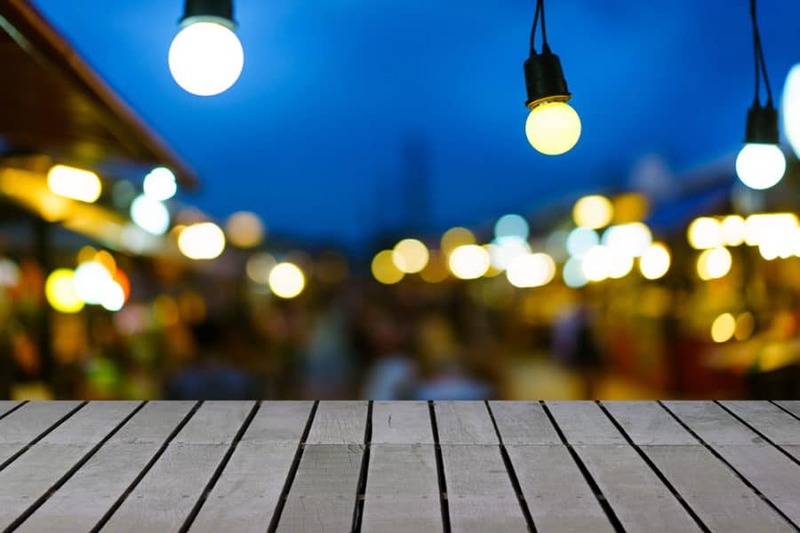 Whether you’re a business or you have an outdoor patio, lights can change the mood (and they’re practical, too). The addition of these small, white lights creates a sparkle that will lighten any mood and delight any imagination. 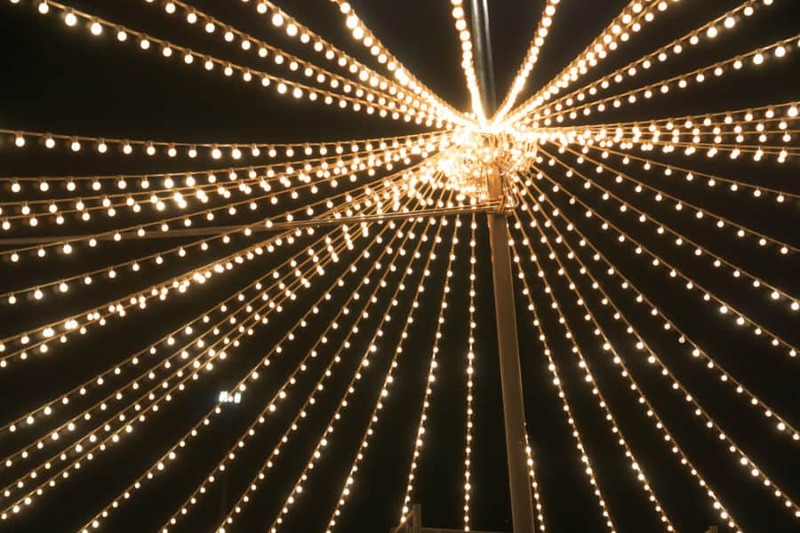 You can create a fun, carnival-like tent effect by attaching strings of lights to the top of a post and running them to the ground. Who wouldn’t want to spend their evening in a magical tent made out of lights? Rope lights can be a wonderful way to create ambiance and make your space your own. 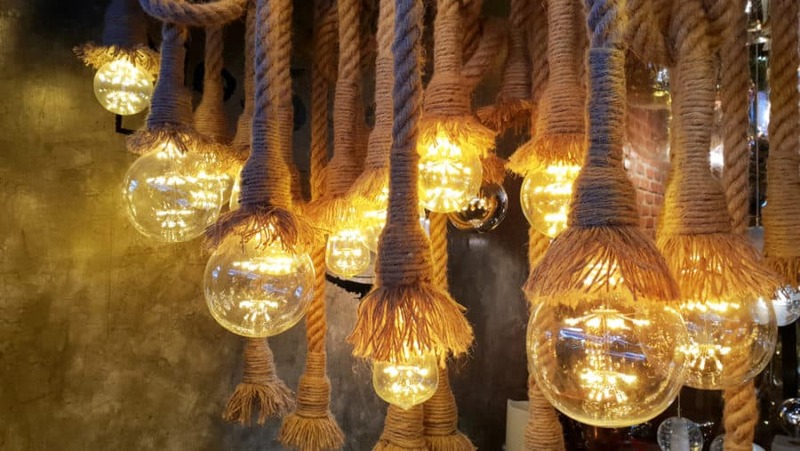 Hopefully, these rope light ideas will help spark the creative giant within you and you can come up with some wonderful ways to use lighting to decorate your home. Need more design ideas? Check out our Goat Fence Ideas, Vinyl Fence Ideas, White Picket Fence Ideas, Fire Pit Ideas, and Enclosed Patio Ideas articles!